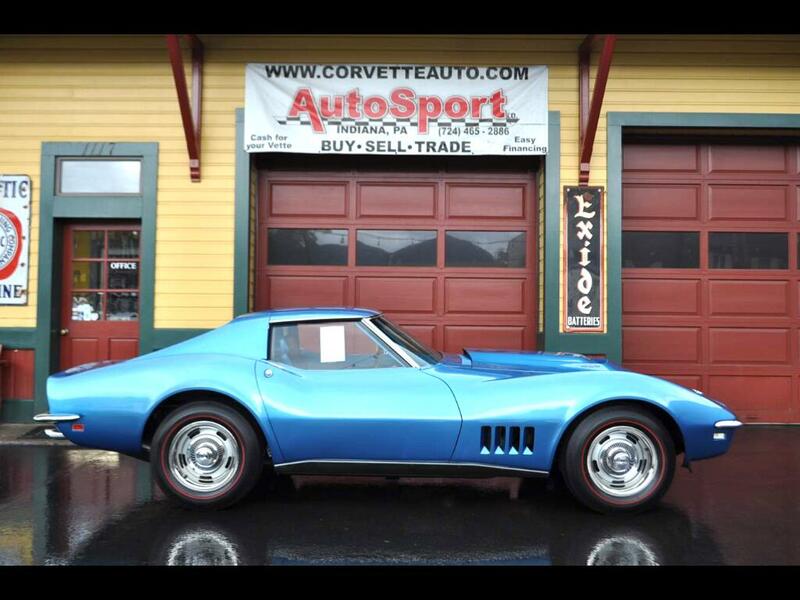 Used 1968 Chevrolet coupe Sold in Indiana PA 15701 AutoSport Co.
For Sale is the coveted 1968 L88 Corvette! This Corvette has just recently received in 2016 the prestigious Bloomington Gold Award! Other prestigious awards include; Performance Verification Award, Chapter, Regional, & National NCRS Top Flight Awards, 2016 Corvette Nationals Concours Gold Certificate, 2016 Corvette Nationals Triple Diamond Certificate, and Judging Sheets! This car is also documented with its Build Sheet off of the gas tank! Complete owner history back to day 1 and the dealership where it was sold new! Included in the mountain of paperwork is a complete brake down of all the #’s on this L88 Corvette. It’s clear to see this rare Corvette has received a 1st Class complete nut and bolt frame off restoration. This car’s pedigree and provenance is well documented and speaks for itself. Please give us a call at 814-977-9219 or email us for more information on this impressive automobile. Message: Thought you might be interested in this 1968 Chevrolet coupe.